Sokka ! i understand, i hadnt know about this taboo ,gome and thank you! and do you know also something about my last Question ? Seriously, stop trying to use Japanese. I wouldn't have said anything if you wrote it properly, but your spelling is getting me on my nerves. one Question to everyone :does it exist different types/styles of Necromancy like with Alchemie ? Like many have said before, this is not a questions thread, go there if you want to ask about stuff and hope people are patient and kind enough to answer you. &Tab;A famous Russian mystic from the turn of the twentieth century and, perhaps, one of the most controversial figures in the country’s troubled history. He lived a normal life up until he was 28, upon which he left his family and went into the wilderness for a few years without explanation. On his return, he was a completely changed man. He had become a mystic during his travels, or more specifically a holy man known as a “strannik.” He quickly amassed followers and held mysterious rituals in a workshop beneath his house. Eventually he gained enough fame for his thaumaturgy that he drew the attention of the wife of the Russian Tsar, Alexandra. Her son had developed hemophilia and her court doctors were unable to prevent him from bleeding out, so she resorted to a miracle. This was what Rasputin provided. Under his care, the young tsarevich was made whole again and blossomed into a healthy young boy. Rasputin quickly grew in favor with Alexandra until he held so much influence that he could advise the Tsar himself. This, of course, made the Russian nobility less than happy. They began to spread rumors about him, but eventually they resorted to assassination. Twice they tried. They failed once and nearly failed again. After multiple simultaneous attempts at his life, Rasputin finally died after being poisoned, shot, stabbed, drowned, beaten, and frozen. &Tab;It’s certain that Rasputin possessed magical aptitude of some regard, but it is unknown to what extent. Perhaps he held the blood of one of King Solomon’s demon lineage, or maybe he was a son of a Phantasmal creature, like Baba Yaga, or a great magus like Koschei the Deathless. Numerous magical societies have tried to present some evidence that he was a member, but none really hold up to scrutiny. He doesn’t talk much about his past and wouldn’t bother to explain even if asked. &Tab;The first assassination attempt made him lose trust in humanity and shook his moral core, but the second, successful, attempt made him hate mankind as a whole. Rasputin is not a servant who has mercy for anyone really. He will not toy with an opponent, nor will he go easy on them in any way. He possesses an aptitude for church sacraments and knows a few Slavic runes and will use them appropriately in combat situations. He is pragmatic first and violent second. Coming in at a close third is arrogance. A Caster-class skill that grants the ability to build terrain advantageous to oneself as a magus, used for such things as collecting mana and surveillance. Rasputin is able to create a “Hermitage,” which is similar in size and ability to a Workshop. Its main strength is in its subtlety; A magus would be unable to find it unless they were to actively strain themselves to search for his territory while already very close to it. A very basic ability to manufacture magical items. Only granted through the Caster class container. His ability to create holy items stems from his personal skill Saint (False) and not from this skill. 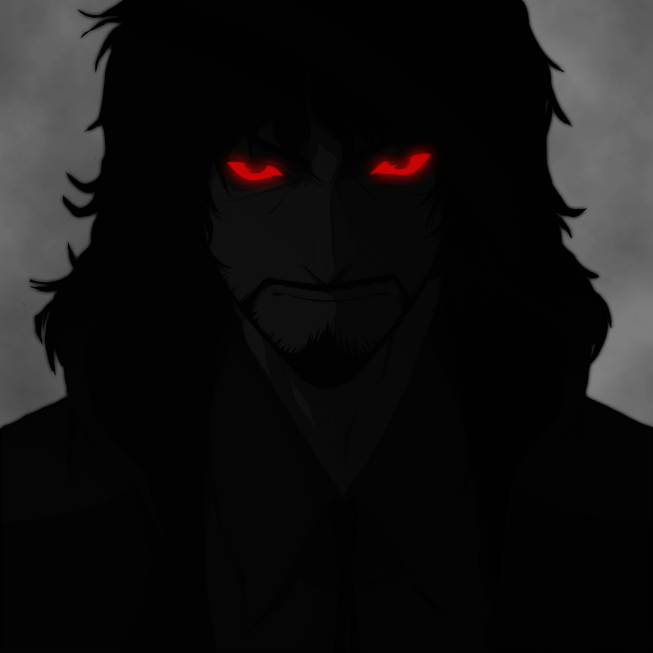 A skill representing the Mystic Eyes possessed by Rasputin which held the ability to produce powerful hypnosis effects. Though normally possessed by Vampires, Rasputin has somehow acquired these without being one. These eyes are ranked Silver under the Noble Colors system. Can continue fighting even with wounds that place them on the verge of death. An ability representing the strongest will to stay alive. Poisons, effects that instantly impose death, the manipulation of his Lines and Points of Death. He resists everything except for attrition. &Tab;The smoke is poisonous and effectively antithetical to life itself. Plants exposed to it will wilt and animals will become more susceptible to diseases. The poison is slow to act and has no effect threshold. Rasputin himself is immune to the effects of the smoke, but keeps it sealed away using a holy shroud based off of one owned by a certain saint. The full body shroud has the bonus effect of hiding his identity further and making it easier to interact with other individuals (especially his master). &Tab;The authority of the Russian Tsars which was taken from the primeval god Svarog and which died with the Romanov family. While possibly the least fitting Noble Phantasm for a servant permanently clad in darkness, Kolovrat was gifted to Rasputin by Empress Alexandra of Russia upon her entrance to the Throne of Heroes. In giving away her imperial authority, she effectively removed her own candidacy as a “Hero.” In her memory and in thanks, Rasputin appended her name to the true name of this Noble Phantasm. &Tab;Kolovrat Alexandra is the solar wheel that represents the chief God of the Slavic pantheon and his Dominion over the fire in the sky (the sun) and the fire on Earth (the forge). The god became dormant long ago, but even in his restless sleep he manages to reject the man who has come to possess his power. Rather than a physical wheel, this manifests a pseudo-star that can be “cast” by Rasputin by inscribing a certain rune into the air. The miniature sun creates sweltering heat and powerful solar winds, but due to Svarog’s rejection of Rasputin as a proper wielder of his authority, Rasputin actually takes extreme damage from his own Noble Phantasm. Since the likelihood of him being burned by his own Noble Phantasm is high, he won't use it unless his ability to escape or survive is guaranteed. Rasputin's likely been done so many times, but I doubt he's been done like this. Not making his resilience a Noble Phantasm? How heretical! Rasputin was going to take care of a homunculus crafted by the secret evil mastermind group and would have been an excellent father figure. Last edited by gyrowins; April 25th, 2018 at 06:18 PM. ^This is probably the most creative Rasputin sheet I've had the pleasure of reading. Both the NPs are really interesting interpretations of his legend, and linking Czernobog with his role as a scapegoat was a stroke of genius. My only critique is that his rank in Battle Continuation seems a tad too high (given that Cu who had it at A fought with his guts hanging out), but since "being nigh-impossible to kill" is such a famous part of his legend I'll forgive it. Last edited by King of Padoru; April 25th, 2018 at 06:17 PM. but i apology King of padoru if i have angered you .! one Question Gyrowins which are the usage fields of Rasputins slavic Rests ? Of his what? Excuse me? i meant because of my misspelling which had caused king of padoru obviously discomfort. Which are the effects of Rasputins runes and what are his abbilities as Caster and in your Version which abilities would he have as Berserker ? Honestly, I never got around to deciding whether he used an actual slavic rune set, or just used Glagolitic. Of course, now that I think about it, Glagolitic could work as his usual casting language while the runes could be used whenever he invokes the old gods. Both are forgotten ill-used languages, of course, but he too is a remnant of a past, more savage time.
. The vengeance of the forsaken Slavic pantheon encompasses him and he becomes their tool for exacting revenge against humanity. However, he is thus turned into a mindless and unkillable beast. Not gonna lie, that idea sounds weirdly similar to Koga's Avenger- Goliath sheet. I didn't read it, to be honest, so that's an unfortunate coincidence. I can't bring myself to piece all that grammar together. I wasn't saying it as an insult or anything. Just that the concept of an "avenger for the forgotten gods" reminded me of his sheet. It's April. You entered here in February. You've had two months to notice that people here only use Japanese for Japanese Servants. And it's not even the first time you've been told not to use Japanese. as someone that actually often converse in Japanese, I just can't see Koga's post without my brain grating on the grammatical mistakes. One Question at everyone has someone thought at making a sheet/Profile of the "last Human" on earth that has inherited the whole might of Alaya ? I guess not, and I hope that's not the nameless Servant you wanted to tell me about yesterday. No ,relax thats a other Story(Profile) my first nameless idea was a Pharaoh related. But my next Servant here will be probably a islamic Caster with a unique set of capabilities ! 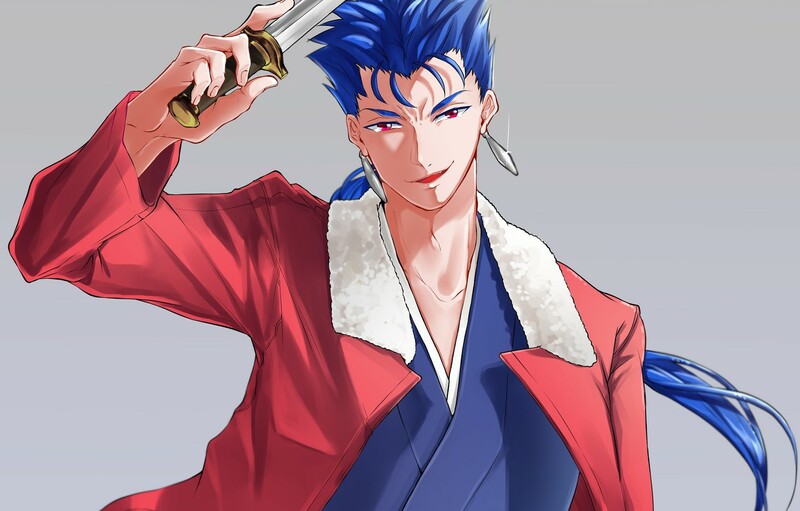 I'd like to ask people's opinion on a Servant. I'm making a sheet for Poundmaker, and was wondering about his class and NP. Originally I was going with Caster and a ceremonial pipe with some kind of peacemaking ability, but a friend of mine pointed out that with his skill at calling buffaloes, he might as well be a Rider, possibly with some sort of divine mount. Any opinions on which one of these sounds better? I don't know enough about the guy to say much, but (assuming you decide not to make it an NP) Proof Of Friendship might be a good ability to represent his role as a peacemaker. Thought the same, but I'm probably giving him a Peacemaker skill that functions as a compound skill of Proof of Friendship and Diplomacy. I'm thinking Diplomacy would be something similar in effect to Charisma, but I'll keep working at it.